"There are two ways to accommodate a building: it can be used or you can watch it." Fantasies and Realities: Reflection on Architecture book cover. Barzakh, Algeria, 2008. Historically, architecture has reflected the social situation during different era; most nations and civilizations expressed their splendor through their buildings. Through architecture, we can learn about civilizations from different periods and regions, admire their monuments like history books and imagine social organizations, ways of life, customs and events of the history of people who came before us. Fantasies and Realities: Reflection on Architecture is a work that brings together a set of texts from the architect and urban planner Jean-Jaques Deluz, published in the weekly "Les Débats" throughout the year 2007. From his experience as architect and urban planner, he addresses with precision and ease the various problems affecting the art of building in Algeria, and provide valuable keys to understanding an environment that does not stop deteriorating. Between the lines of these writings, we can also discern and identify the various political, economic and social issues in Algeria. In my work, I feed myself from what society offers as inspiration and material for my artistic expression; for this project I will try to push my research based on the thinking of Jean-Jaques Deluz and end up with, in terms is of format, a series of works, installations, videos, photographs etc. In the end, the project will be presented as an exhibit and a publication. Image 01: Extrait from Fantasmes et réalités: Réflexions sur l'Architecture. Image 02: Extract on Diar el Mahçol fountain. Image 04: Extract from Fantasmes et réalités: Réflexions sur l'Architecture. Image 05: Extract from Fantasmes et réalités: Réflexions sur l'Architecture. 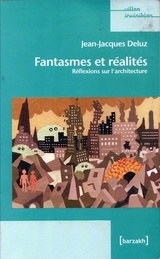 Image 06: Extract from Fantasmes et réalités: Réflexions sur l'Architecture. To get back to the prestige towers and buildings, it is not a question of adopting a fiercely puritanical attitude. The spirit of competition, the need for enhancement of minority communities, explain acts of bravery that leave me personally indifferent but that can be understood: Burj Dubai, 512 meters high, is of an unpleasant arrogance, but technological imperatives that take precedence on formalism require a certain sobriety; as the tallest minaret in the world that Algeria wants to build, forgetting that the specific role of the minaret is to spread the call to prayer by the muezzin; who will hear it if it's 300 meters above? First of all, why the images, why the thousand and one nights, why invest in a cultural and entertaining production? People should be provided with housing and that's all. Second, if one wants to decorate urban landscape, it should be done where there is some animation and tourists, to enhance the image of the city, i.e. the city center. The suburb does not have to be pretty, because it's no one goes there. We remember the history of Diar el Mahçoul's horses, (whose name Belhanteur used as the title for one of his books); when the fountain that Pouillon had built at the foot of Diar el Mahçoul's tower was transplanted and placed, truncated, at the intersection of November 1 Avenue. But extensive growth destroys this essential quality; the streets are spaces that are completely owned by citizens, but are poorly adapted to the new needs of comfort, relief and clean air; alignments and old templates met the requirements for simplicity and fragmentation of programs that are nowadays either too diverse or uniform, to the point of making any application totally unrealistic. The city of the XXI century must be reinvented with new objectives: welfare must take priority over prestige, the rules of sustainable development must take precedence over financial speculation. Viewed globally, Algeria has the advantage in a way, of being at ground zero of this evolution. Thus, in terms of the so-called modern architecture, undermined by its schematic, by the arbitrariness of its rationality, by the drought of its geometry; the battle, being lost in advance, does not occur and patriarchal power works on the rigged system of formalism and trends; the powers of money, supported by the political authority, need to express their hegemony in space, and even, be acclaimed through this expression. But a curious thing happened: while (until proven otherwise) the average inhabitant of Algeria is not yet a robot, its collective housing, built for over thirty years by administrations, companies and businesses that were in charge of it, is based on uniformity, anonymity, standardization, so that individuality can only express itself with disruptive actions such as adding different types of grates to their windows, metal sheet for balconies, panels protecting the privacy of homes, etc. The tension between the inhabitant and his environment is evident throughout the new urban periphery. The uniformity, monotony, resulting from the standardization, the constant height of all buildings, the identical repetition of each facade elements, including entrances, creates a feeling of gloom that nothing brightens, and that the lack of trees also enhances. The entire city could be here or elsewhere. It even happens that we see absolutely similar buildings in a southern city in a coastal town! I call this cultural misery.